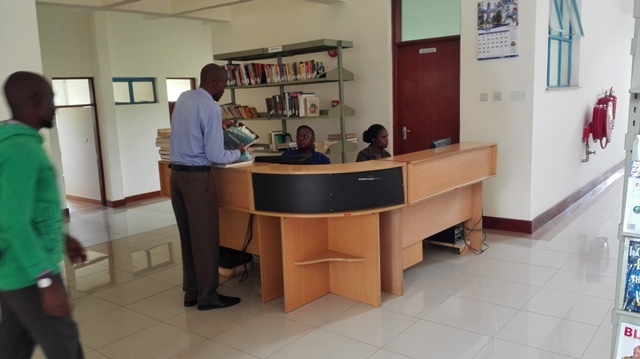 It is our pleasure to let you know that Kitui Campus Library has successfully relocated to the Ultramodern Library Building located next to the Campus Administration block. Monday – Friday: 8.00 a.m. 8.00 p.m.
Saturday: 8.00 a.m. 4.00 p.m. STAFFING: The library has four members of staff, headed by the campus librarian in-charge. CLIENTELE: The campus library is mainly meant to serve Kenyatta University students and members of staff. However, we may allow restricted use of the library resources to other guests authorized by the Campus administration. LIBRARY SERVICES: Some of the services offered in our library include: lending services, current awareness services, online and offline database searches, and reference services. OPAC: Two computer terminals have been set aside for Online Public Access Catalogue. Users are also encouraged to approach any library staff to assist in accessing the catalogue. INFORMATION RESOURCES: The library collection continues to grow with a collection of volumes including theses which are available for the patrons’ use. In addition to the books, online and e-resources are available and can be accessed through the Off-Campus E-Resources Access link from the Kenyatta University library’s website or through off-campus e-resources link. 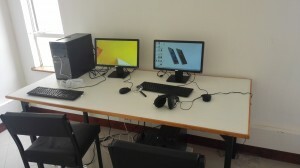 COMPUTER LABS: The Campus library has two Computer laboratories to facilitate users’ access to the library’s e-resources. 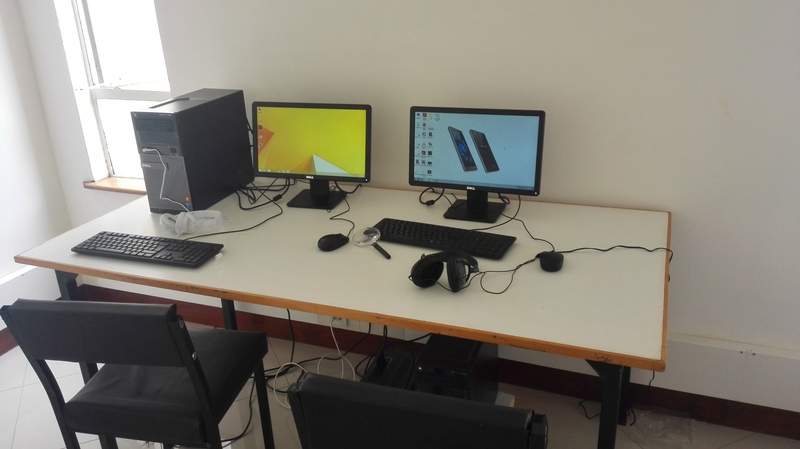 Configuration of laptops for registered library patrons to access wireless network, training on how to access e-resources training is also done there. SHORT LOAN SECTION: This is a section within the Circulation desk which has books that are on high demand yet are of few copies reserved for fair use. All books in this section are borrowed for three hours and used within the library. REFERENCE SECTION: This is a reference section for dictionaries, encyclopedias and other materials which can only be used inside the library. THESES AND PROJECTS COLLECTION: Theses collection is located in the front shelf within the general shelving area. These resources can only be used within the library unless special permission is granted by the library In-charge. 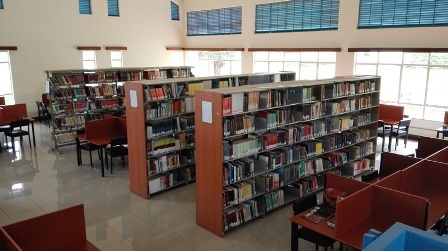 GENERAL COLLECTION: This section holds most library materials which can be borrowed out of the library for long loan depending on the category of library users. INFORMATION LITERACY: Kenyatta University library system conducts information literacy training to all users as indicated in the Information literacy link. NB: All the library users are encouraged to proactively seek guidance from any library staff on the use of e-resources and any other library-related issue.